"Journey with The Royal Ballet to an enchanted world of princesses, fairy godmothers and magic spells in Petipa's classic ballet." 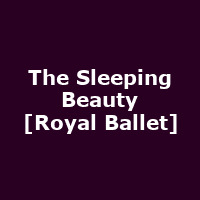 "The Sleeping Beauty holds a special place in The Royal Ballet's repertory. It was the ballet with which the Company reopened the Royal Opera House in 1946 after World War II, announcing its move from Sadler's Wells to Covent Garden. Margot Fonteyn danced the role of the beautiful princess Aurora in the first performance, with Robert Helpmann as Prince Florimund. Sixty years later, in 2006, the original 1946 staging was revived, returning Oliver Messel's wonderful designs and glittering costumes to the stage once again."